4 Pics: Germany 1936: Commercial game: Juden Raus! – Jews get out! [I had a good laugh at this. 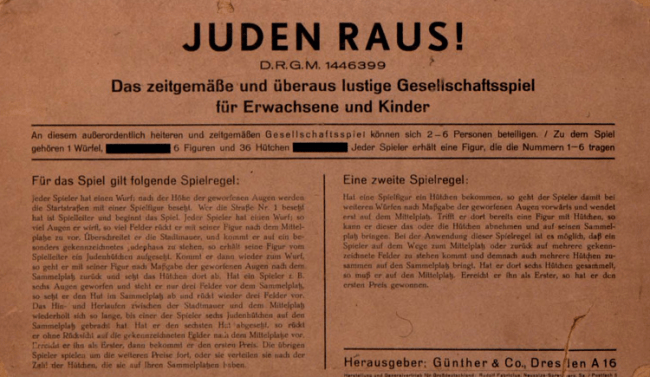 It turns out that in NAZI Germany, a company created a "racist” game called: Juden Raus! – meaning: Jews get out! And the player wins if he gets his Jews out of Germany to "Palestine” (future Israel) first!! Note: The Germans had conceived the idea in the 1920s that the Jews should be shipped to the French colony of Magagascar, off the coast of southern Africa! So don’t be fooled by holocaust nonsense! The “final solution” that the Germans were thinking of, was for Germany to acquire Madagascar and to grab the Jews from Eastern Europe and ship them there! I’m glad this never happened. Such a lovely island would have been wasted on the Jewish filth. 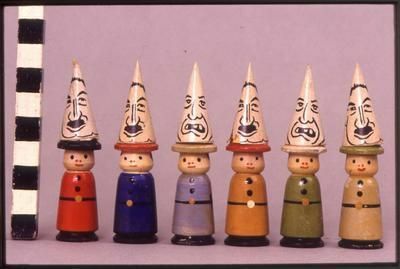 The BBC ran a story on Juden Raus and they commented “what a terrible racist game!” What a load of British/Jewish poppycock! Note, in the section below which comes from wikipedia that the Jew claims it was a huge success in Germany. I get the impression that in reality it was NOT such a success. This was a commercial venture and had nothing to do with the NAZI party. 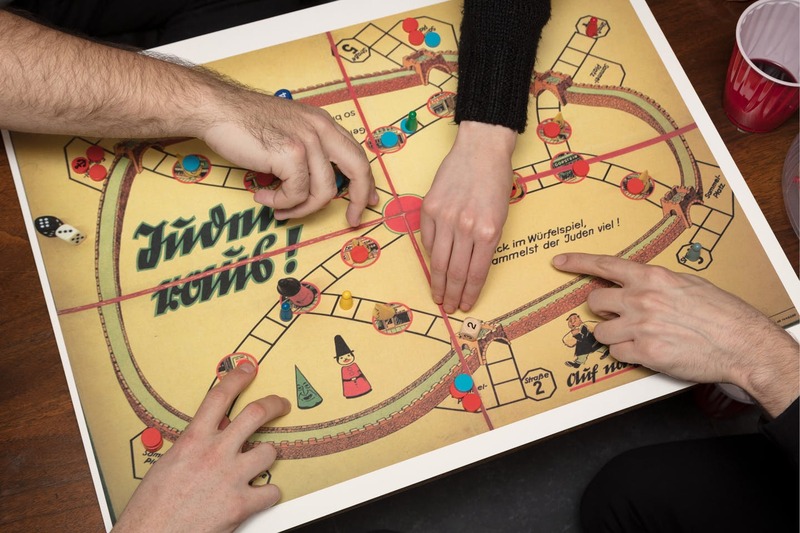 Furthermore it seems there was genuine critique of the board game being a negative thing for Germany. So it could be that the Jew is, as usual, massively exaggerating (lying) about what really happened. Sadly, for the rest of us, the Jewish filth who left Germany, went mostly to the USA but also quite a large number came to South Africa where they brought communism and equality and other anti-white ideas and created a nightmare for the whites of South Africa! “History’s most infamous board game..HA HA..I MUST have a copy of it!